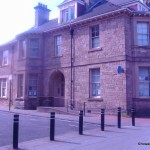 The Wallsend Citizens Advice Bureau, based on Station Road in Wallsend town centre helps Wallsend residents resolve their legal, money and other problems by providing free, independent and confidential advice. Hi I work 26 hrs per week im not working hours to claim working tax credits what other benefit could I claim. Hi Laura, thanks for your comment/query. I hope you get some help soon and urge you to contact the Citizens Advice Bureau using the link above, if you have not done so before now. I will give you a link to shelters advice about overcrowding (see below) and as well as highlighting your comment in the menu bar opposite have also highlighted it on our twitter page. Please feel free to keep us updated with your progress or lack of it, because you never know who might be listening in the future … Good luck !! Hi my name is Laura Cunningham…… I’m currently living in a SMALL 2 bed council home, Which i love, but unfortunately im desperate to move from! When I was first offered my home it was ideal as I was a single mother of 1, but now im a mother of 3 and also have my partner! There are 5 of us living in this home, as well as my middle child being disabled with limited vision and devolpment delay. I have no space to help my child learn to walk etc, she bumps into things as their is just no space for her! My eldest childs school work is being affected as my 2 youngest wake her up every night 3 kids share 1 room! I understand the need for familys to get bigger homes and the lack of council homes around, but im more than desperat now! I cant even put my sons big cott up as their is no room at all. The council seem to think my house is suitable, but yet they have rehoused two familys i know with 3 children of the same gender into a 3 bed home! I have 2 girls and a son! im aware they are able to share untill my eldest is 10, but as i know my house is to small due to the size of my rooms the council still wont help me! any help would be appreaciated! thank you.